In 2010, the government agency agreed that triclosan, which is often found in hand soaps and toothpaste can disrupt hormone balance, cause endocrine disorders and could be a contributor to the increasing rates of drug-resistant bacterias. The state of Minnesota has announced a ban on triclosan, effective in 2017. So why is triclosan one of the active ingredients in Colgate Total toothpaste, something we actually ingest?! 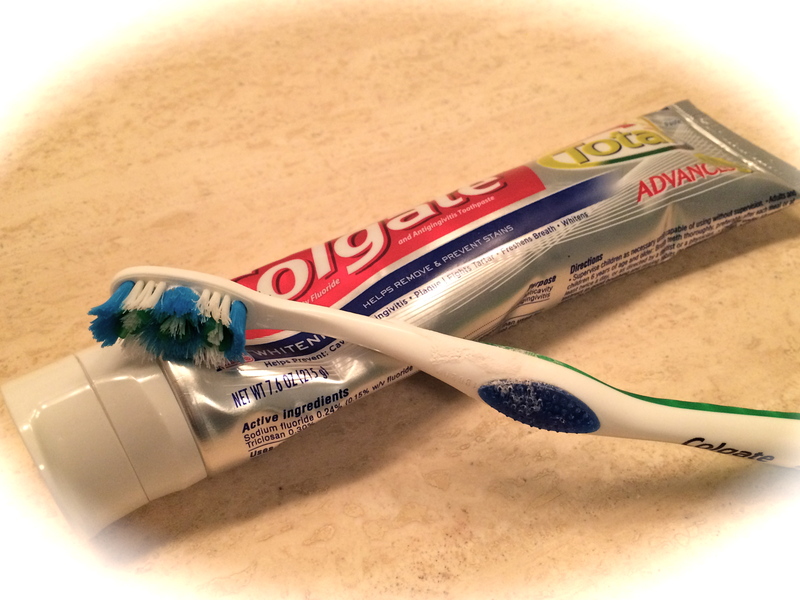 Surely, there are other less toxic and dangerous things that could be used to make toothpaste, than a drug known to cause extreme health issues. Consumer groups are pressuring big retailers to remove Colgate Total, and other triclosan products from the shelves. More importantly, we should be pressuring the FDA to ban it completely. Colgate has defended it’s product, stating that there have been more studies done on Total than any other toothpaste in the world and that it is safe to use. Personally, I am not taking any chances. My current tube of Colgate Total is going in the trash, and being replaced by Crest, which doesn’t contain triclosan, or something even purer, like Tom’s of Maine. Plain old baking soda and water has also been touted as a natural toothpaste replacement, removing stains, tartar and leaving breath fresh. The fluoride in our water supply should be able to do the rest. We can run marathons, pour buckets of ice water over our heads, and bike until our legs fall off, all in the name of curing diseases that shouldn’t exist in the first place. Banning harmful ingredients, and being transparent with consumers about what is actually in these products may some day make our efforts moot.